Hernán (Herman) Mario Quirós Sanabria, a longtime resident of Natchitoches, passed from this life Thursday, March 8, 2018, in the place of his birth, the rural town of San Rafael de Oreamuno in the province of Cartago, Costa Rica, just outside the city of Cartago, the provincial capital and the original national capital. 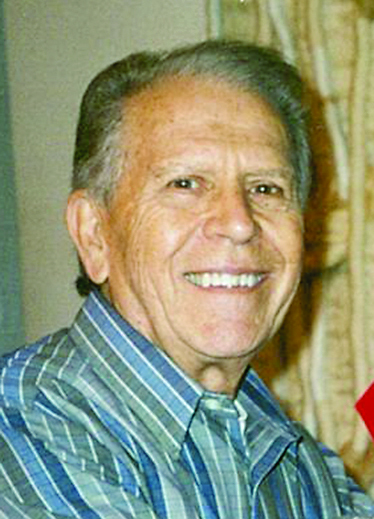 He was born Feb. 11, 1926, to Lucía Sanabria Martínez and José María Quirós Masís, the third of four boys. Due to severe asthma, he spent many years of his youth living with his uncle, Archbishop Víctor Manuel Sanabria Martínez, in the national capital city, San Jose, to get away from farm and rural asthma irritants. It was during this tumultuous time that his uncle with his friend, President Rafael Ángel Calderon Guardia, worked together to pass sweeping controversial legislation to ensure social justice based on church teachings such as social security insurance, eight-hour workday, minimum wage, the right to organize trade unions and to form cooperatives. Hernán came to the United States to study at Louisiana State University and later Northwestern State College. It was there that he met and married Wilhelmena Wise of Galbraith community on lower Cane River in southern Natchitoches Parish. They had a son in 1951, Mario Francis Quirós, now living in Shreveport. The family moved to New Orleans while Wilhelmena attended Louisiana State University School of Medicine, specializing in Pediatrics, and Hernán attended Loyola University and worked at Touro Infirmary. It was during this time they had a second son in 1955, Antonio José Quirós, now living in Houston. Upon completion of their schooling, they moved to Natchitoches where Hernán went to work in the laboratory at Natchitoches Parish Hospital, later becoming the head, where he worked until his retirement, after which he returned to his birthplace. He was known as a kind, Christian man, who cared about his patients. He loved listening and dancing to upbeat music, and he loved good-natured teasing. In addition to his two sons, he is survived by a grandson, Zachary Allen Quirós, now an undergraduate at Southern Methodist University in Dallas, and numerous cousins, nieces and nephews in Costa Rica, as well as nieces and nephews from his marriage to Wilhelmena. Many are saddened by his passing, including his caregivers at Casa Israel Residencia Geriatrica. A funeral Mass was offered in San Rafael by his cousin, Fr. José Alberto Quirós Castro, where he was interred. A Mass will be offered by Fr. Marc Noel for the repose of his faithful departed soul and to offer our prayers Saturday, March 24 at 4 p.m. at Holy Cross Catholic Church, 129 Second St., which he attended for many years, followed by a reception in the Parish Hall.